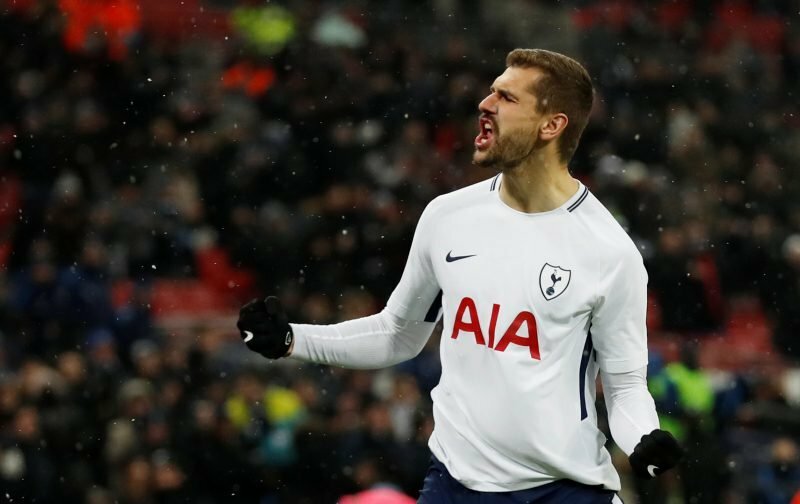 Fernando Llorente looks on his way out of Tottenham in January, with the centre-forward unable to convince Mauricio Pochettino that he deserves more minutes. Llorente has struggled for playing time ever since joining Spurs from Swansea in 2017, and he could be on his way back to Spain amid interest from Athletic Bilbao and Real Betis. The Spanish international has amassed only 232 minutes of football in all competitions for Tottenham this season. Harry Kane continues to be a regular up front and isn’t likely to lose his place in the side, so it was always hard to see when Llorente would get played. Pochettino has even preferred Heung-min Son as backup to Kane, so the 33-year-old clearly has no future at Tottenham. Reports in Spain suggest Bilbao are desperate to bring Llorente back to the San Mames Stadium, but it’s unknown if they will pay to sign him in January or wait until his contract runs out next summer. Llorente’s deal is up with Tottenham in five months’ time, but his lack of playing time could make him keen to move away as soon as possible. Time will tell.